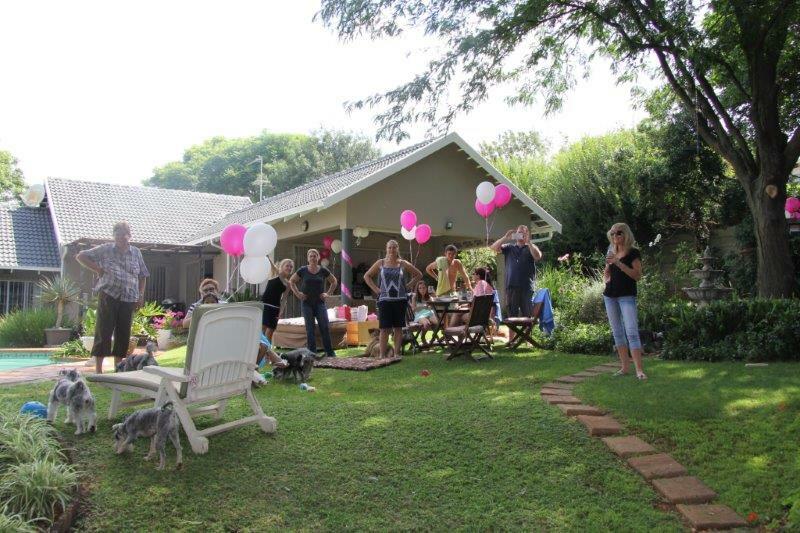 Arrange the decor - like helium balloons and Happy Birthday signs. 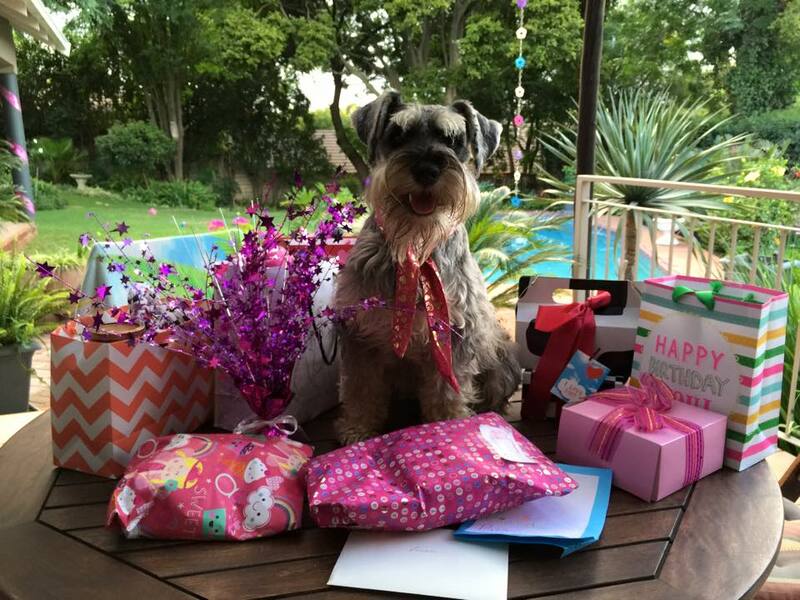 Buy your schnauzer a present and card. On the day put welcome balloons on the gate and decorate. 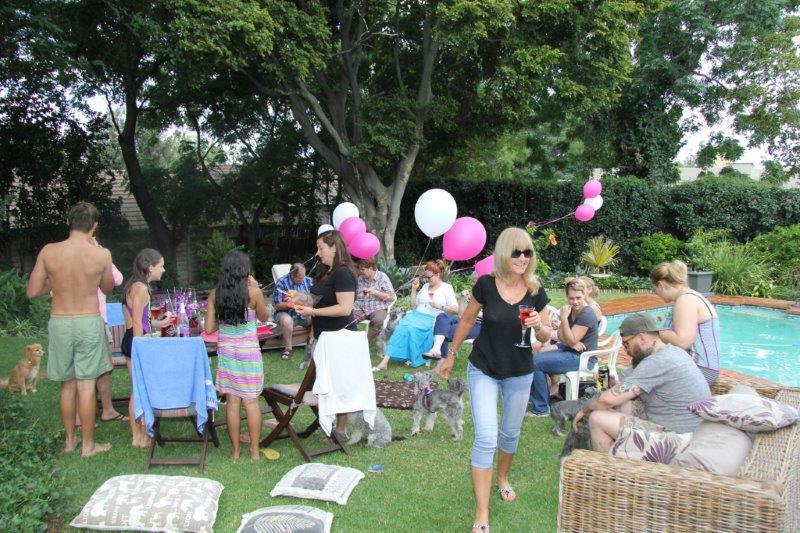 Welcome your guests and HAVE LOTS of FUN! 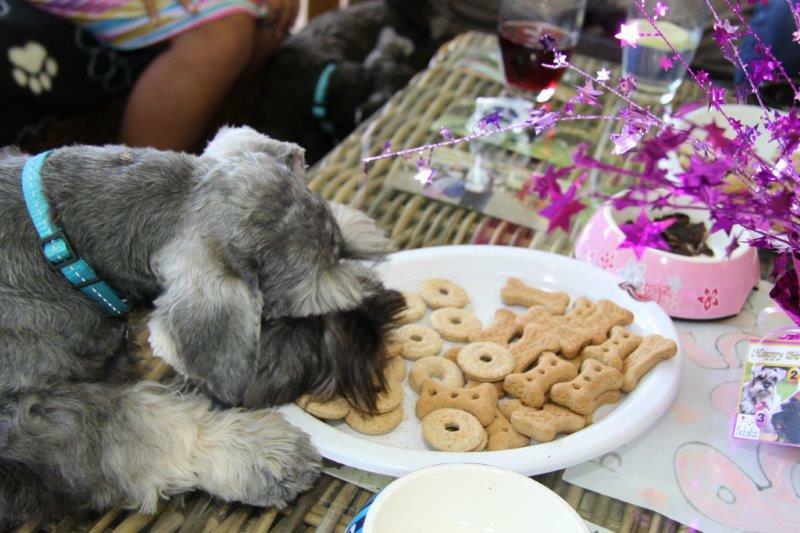 My schnauzers Max, Rosa and Thomas's favourite treat in all the world is Schnauzer Liver Bread. 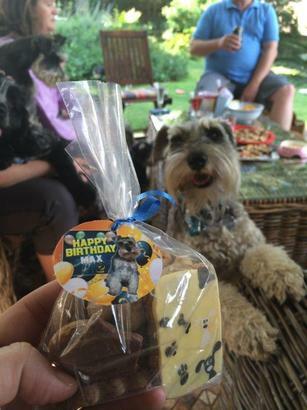 I like it because I know exactly what is in it and it has no preservatives. 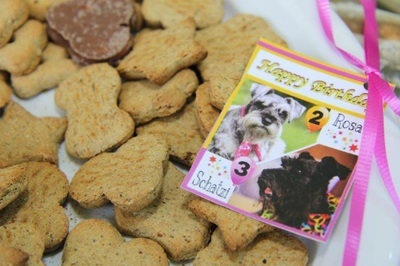 It is really quick and easy to make. 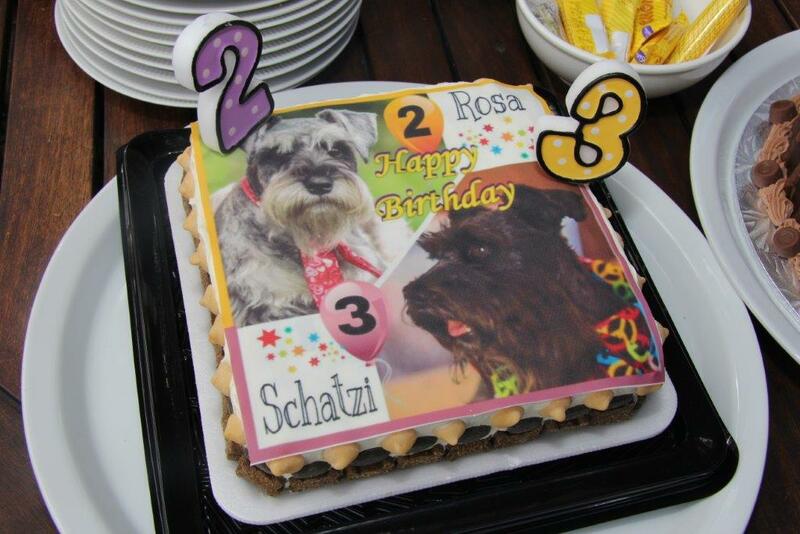 You can also use the same recipe to make a birthday cake or muffins. 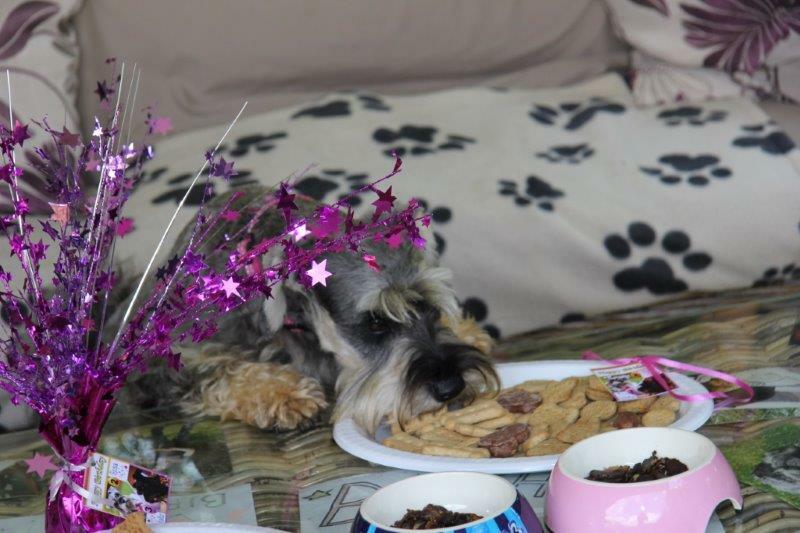 You can ice/decorate with peanut butter, cream cheese, biltong and doggy bicuits. Click here for the recipe. 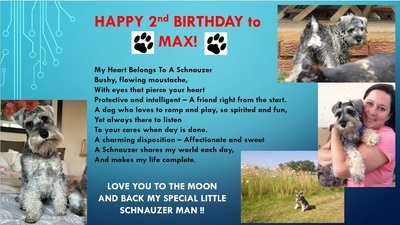 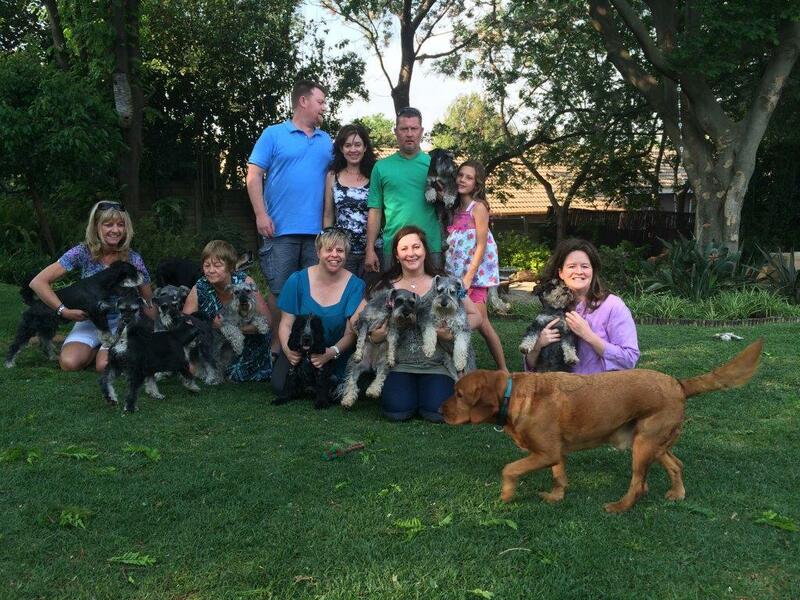 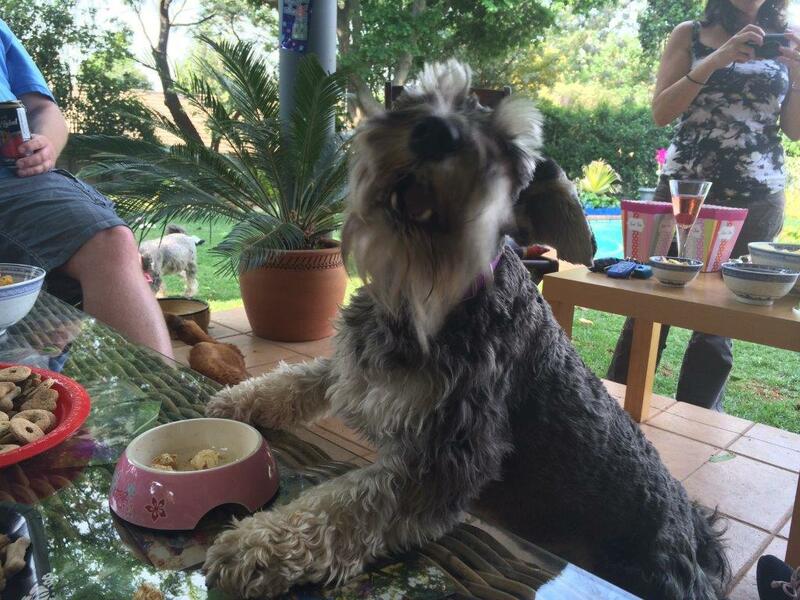 Here are some of my favourite pics of all the hooligans at Schnauzer Max's 2nd birthday party. 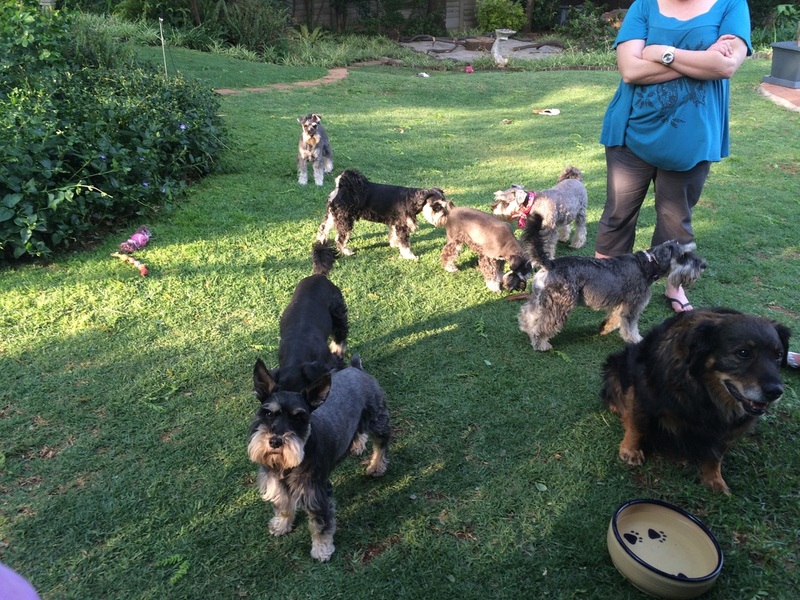 There were 16 dogs of which 12 were schnauzers. 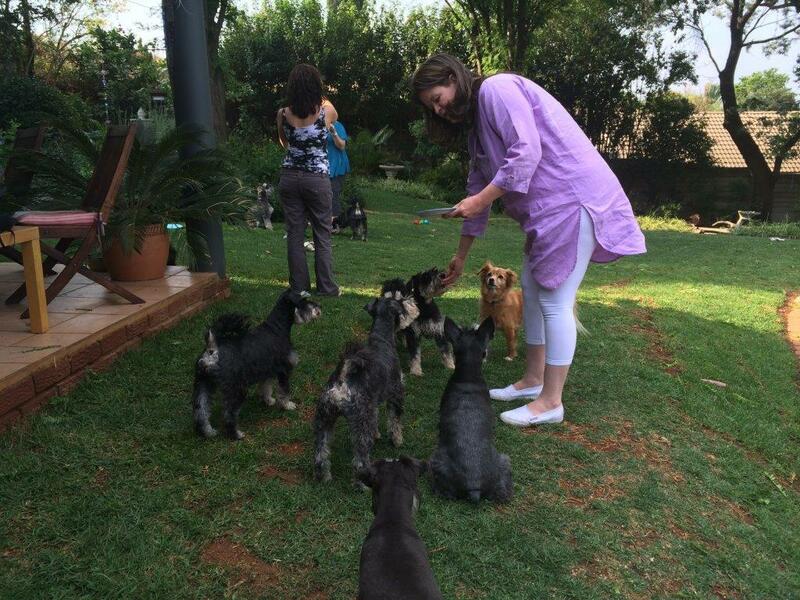 Oh yes - there were some humans too. 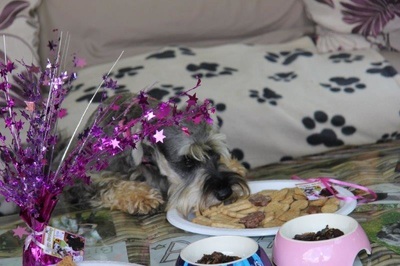 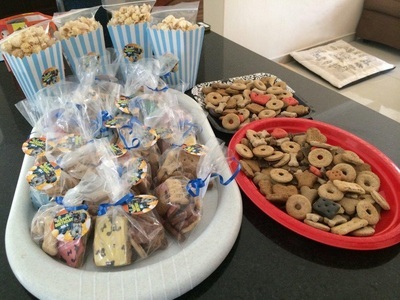 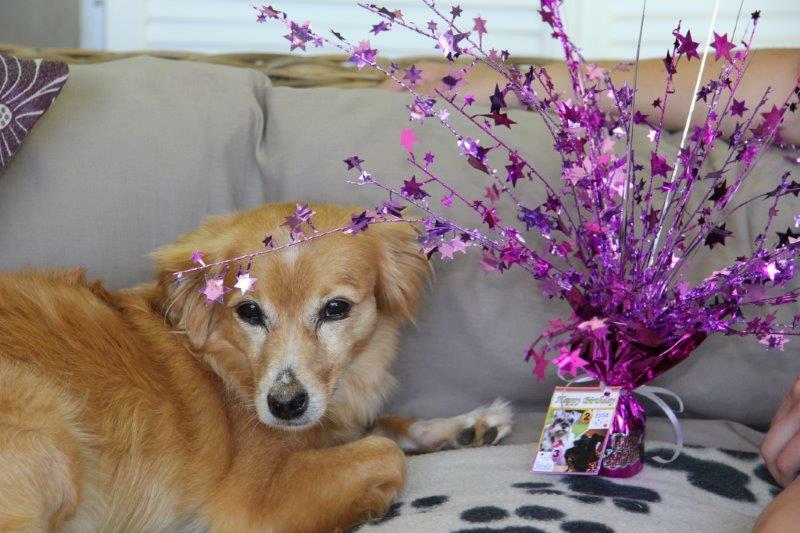 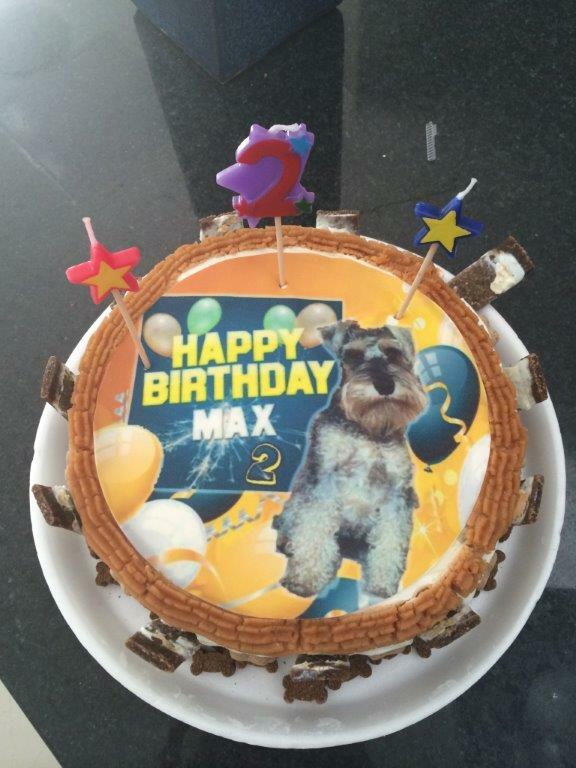 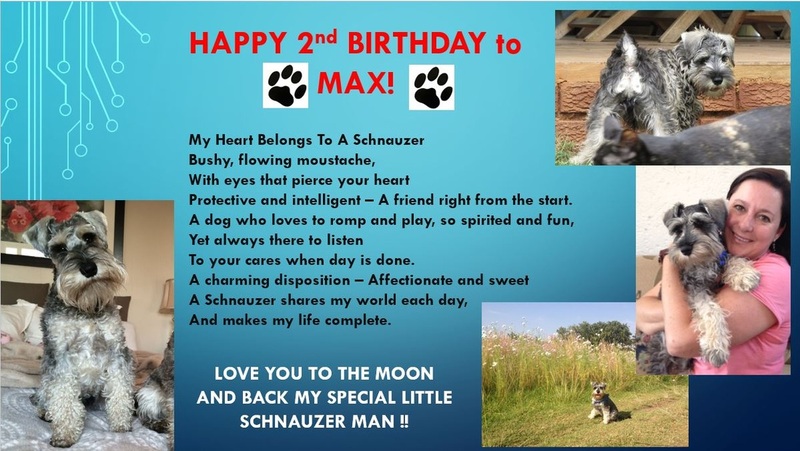 Happy Tails Doggy Daycare in Fourways, Johannesburg did the doggy catering and provided the doggy cake, popcorn, platters and party pack -all customised with Max's picture on them. All the doggies got along and enjoyed the fun ! 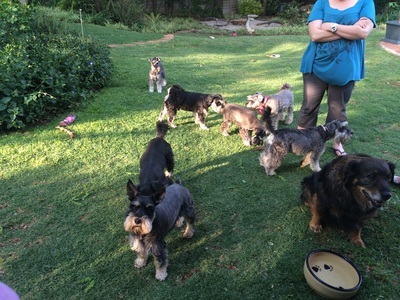 (They all knew each other from the park previously - and schnauzers just love other Schnauzers). 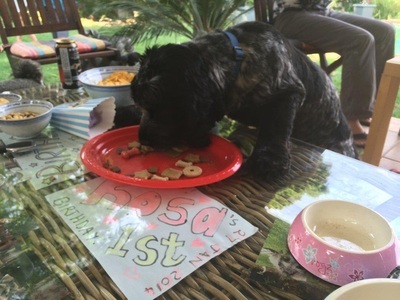 Here are some pics from Rosabella's 2nd Birthday Party. 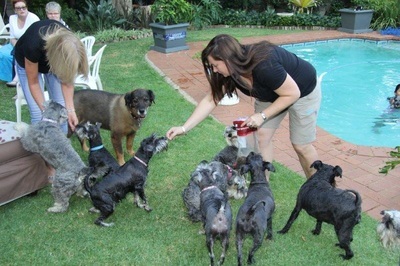 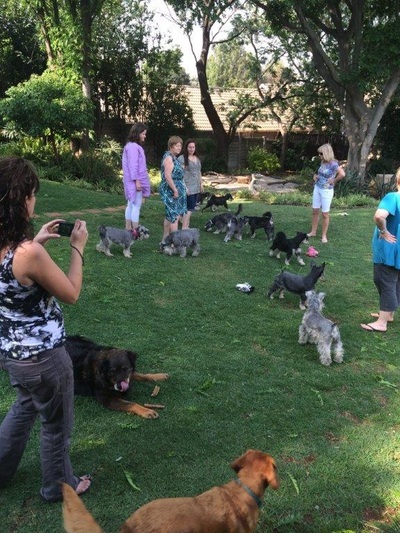 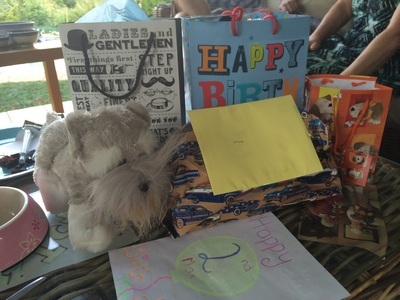 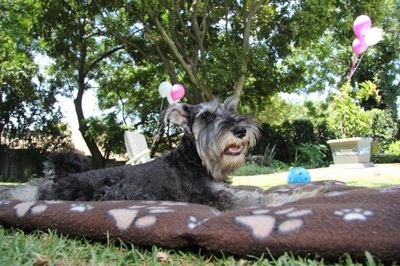 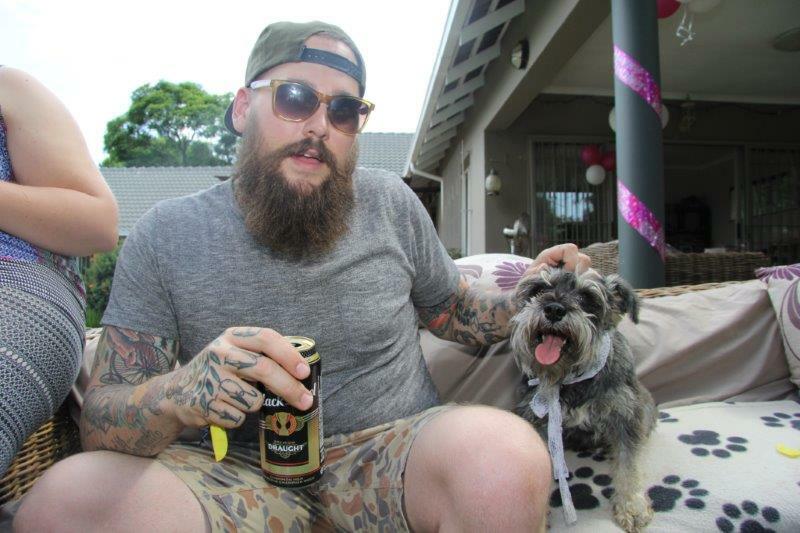 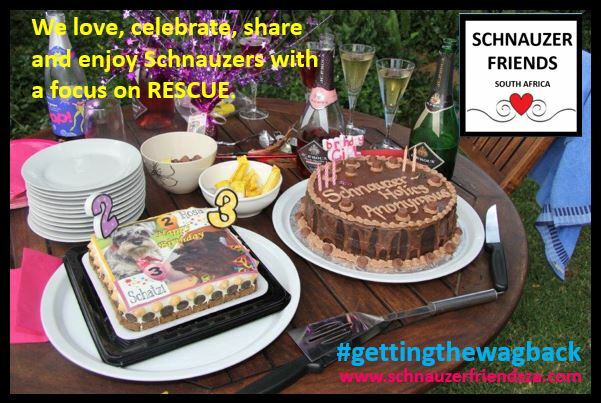 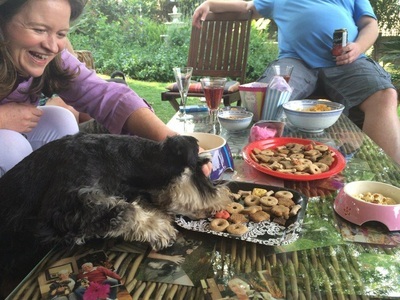 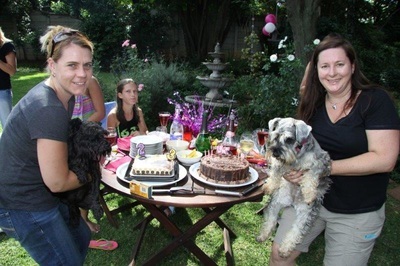 This time we shared a party with Schnauzer Schatzi Kritzinger. 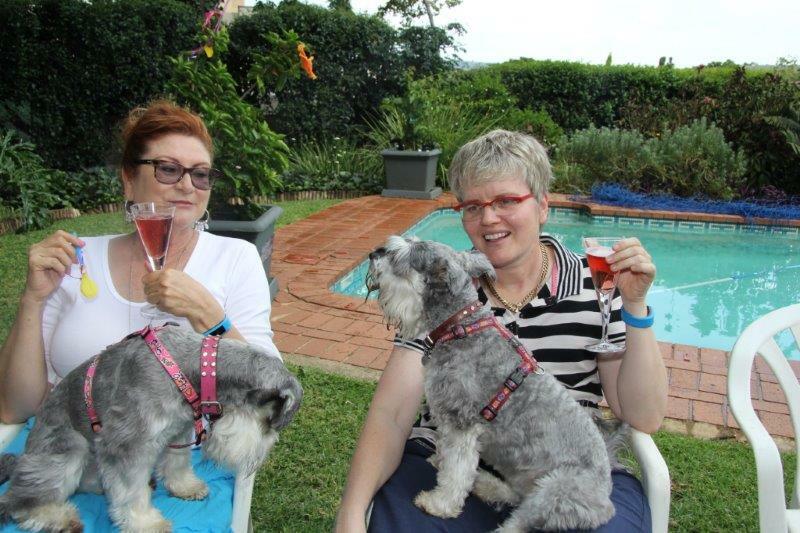 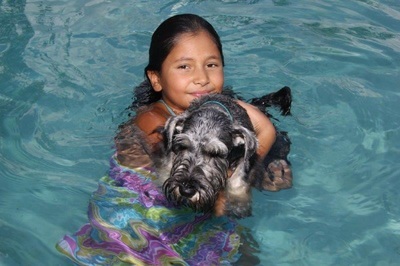 So much fun and schnauzer smiles...... Come on just have fun and enjoy. 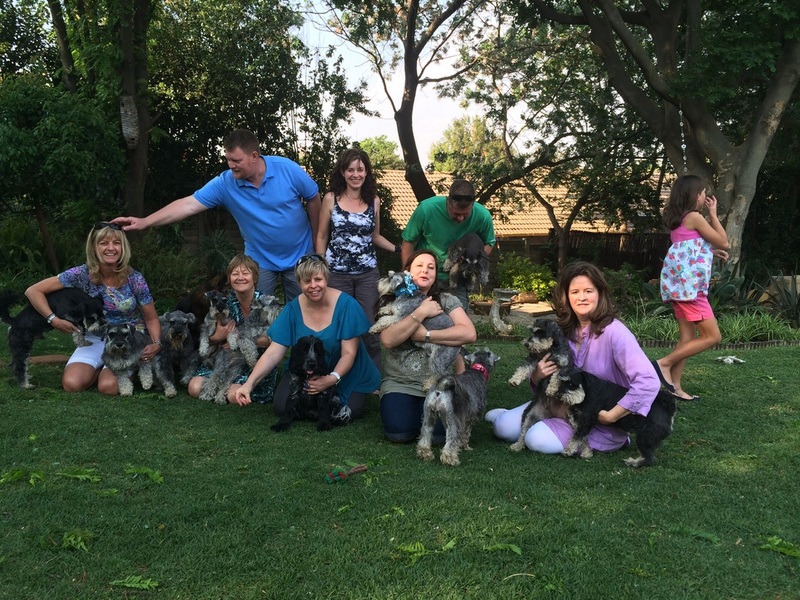 Nothing is too much trouble for these special schnauzer furkids!